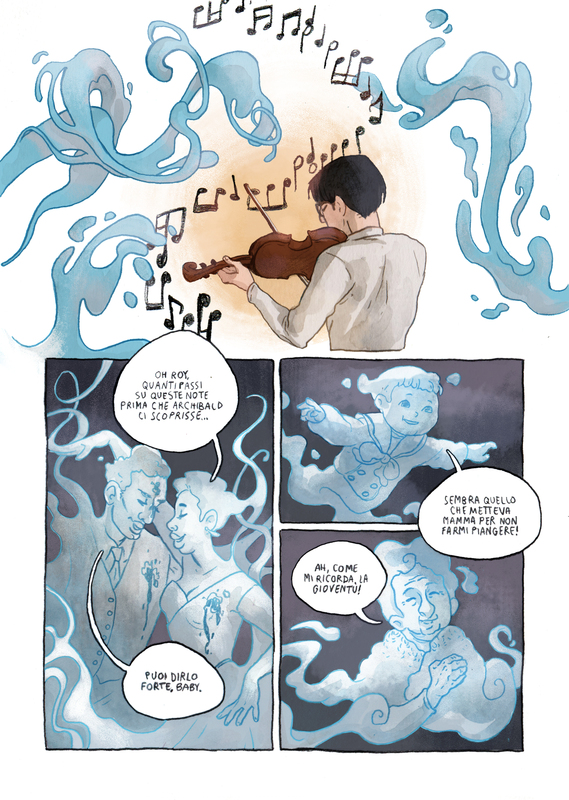 Short story of 8 pages written and drawn for the successfully crowdfunded GRIMORIO II anthology - on ghosts! By Attaccapanni Press. 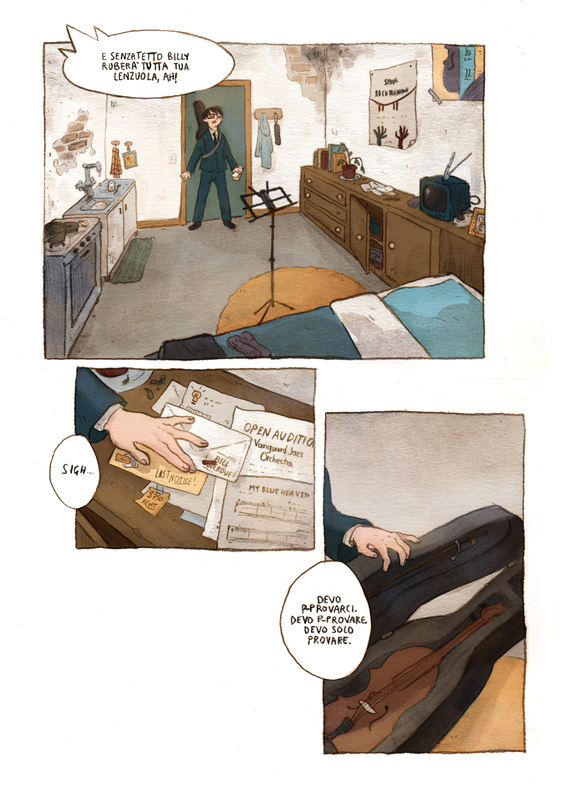 Sasha is a very unlucky violin player barely paying the rent in a on old New York apartment. 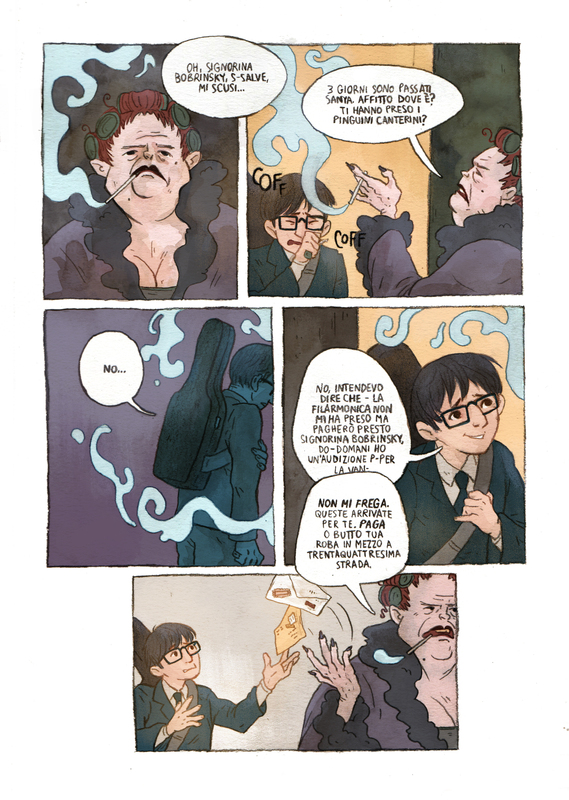 This was my first mixed media comic, with a traditional pencil linework and watercolor half-tones, and digital coloring on top.